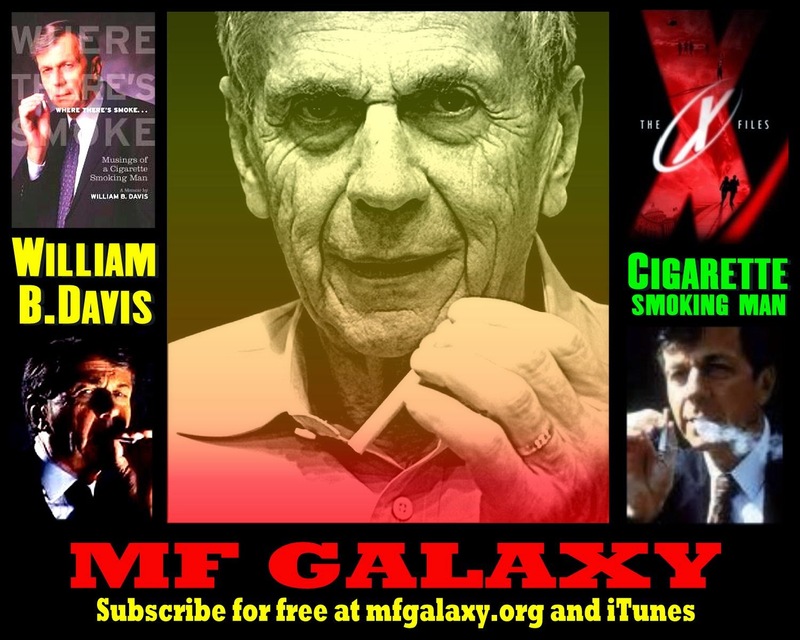 Actor William B. Davis is best known as Cigarette Smoking Man, AKA Cancer Man, from the 1990s hit science fiction television series The X-Files. By know all you X-Files-ophiles know that the Chris Carter-produced show will be returning to television in 2016 as a six-episode miniseries shot in Vancouver, and will feature stars David Duchovny and Gillian Anderson as Fox Mulder and Dana Scully. And returning with them will be the sinister Cigarette Smoking Man, whom the readers of TV Guide voted Television’s Favourite Villain. 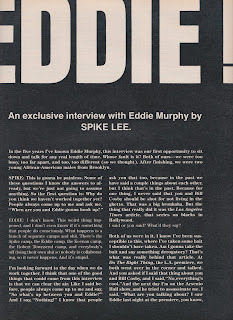 His take on fellow actors such as Marlon Brando, Robert Downey, Jr., the Baldwins, and Dame Judy Dench. 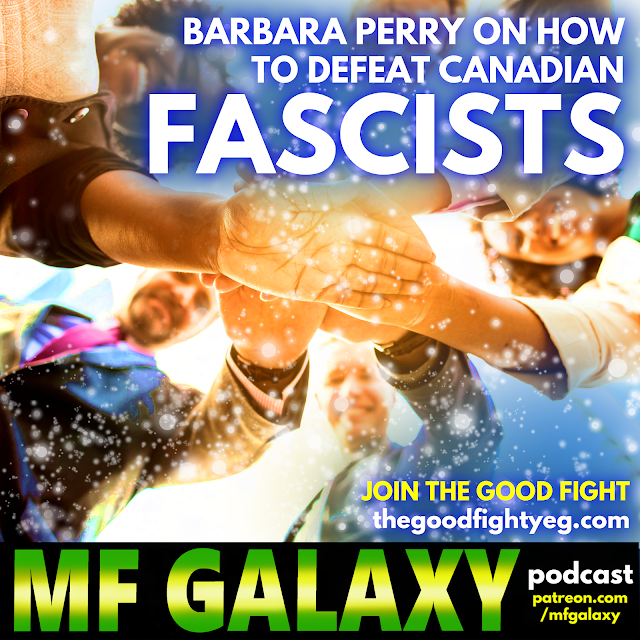 This episode is sponsored by the multiple-award-winning comic book store Happy Harbor* Comics in Edmonton. Happy Harbor offers every comic and manga and more you could possibly want and if they don’t have it in stock, the friendly staff will get it for you. Happy Harbor supports charities, schools and libraries, its own Artist in Residence, and even a scholarship. The store is family friendly, and the place where I buy all my comics and graphic novels, and where I have all my book launches. In short, it’s a great place. 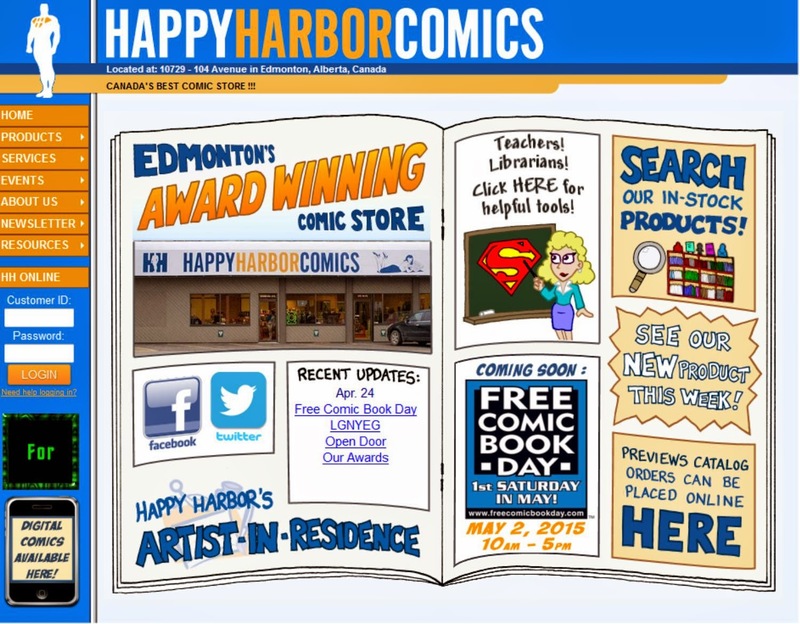 If you’re in E-Town and shopping for comics, find Happy Harbor in the heart of downtown across from MacEwan University campus on 107th Street and 104th Avenue, and tell them heard about Happy Harbor on MF GALAXY. *While there should, of course, be a "u" in the word "harbour," the store is named after the Justice League's headquarters, and there's nothing I can do about that.